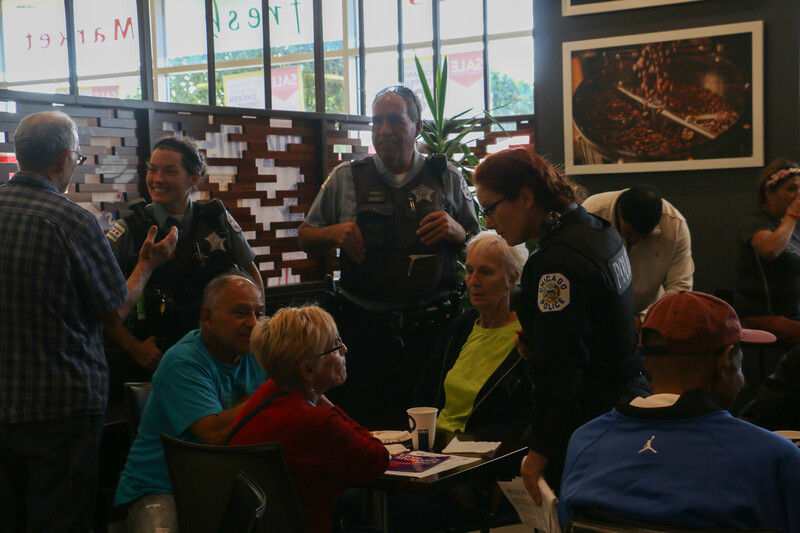 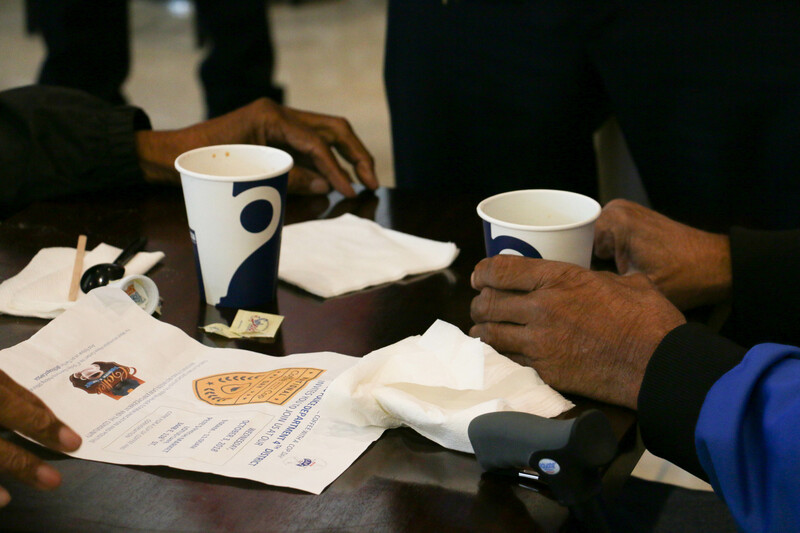 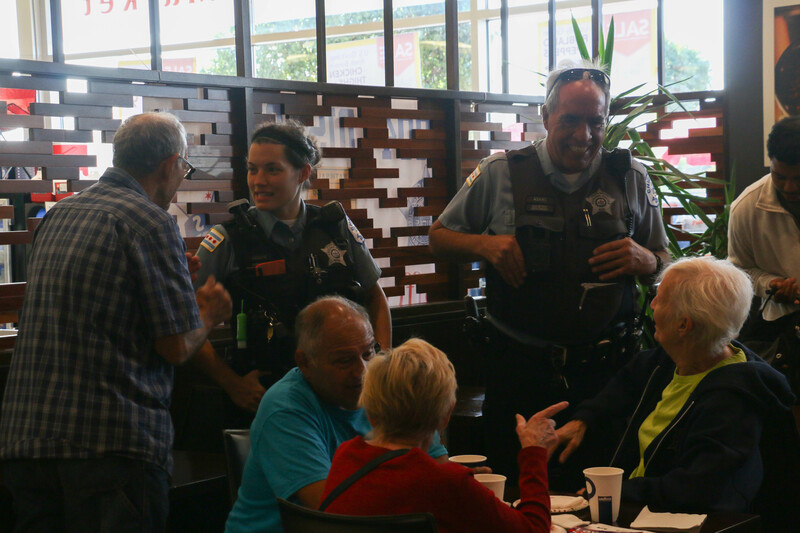 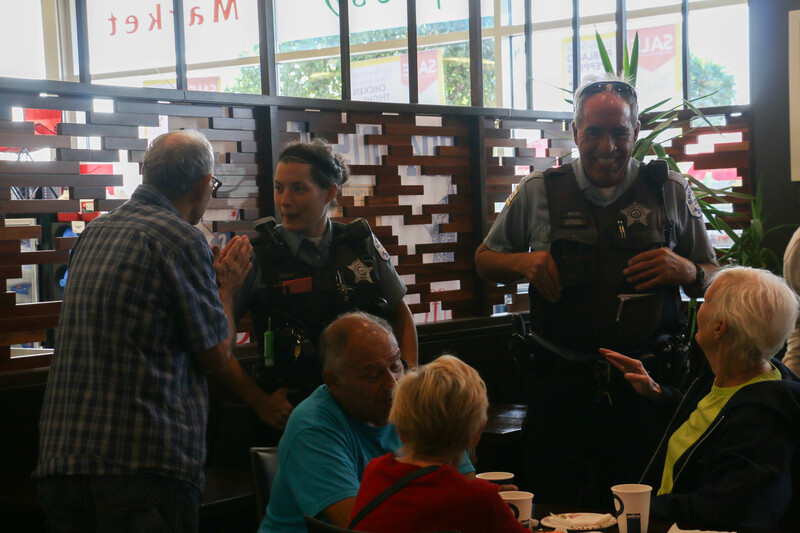 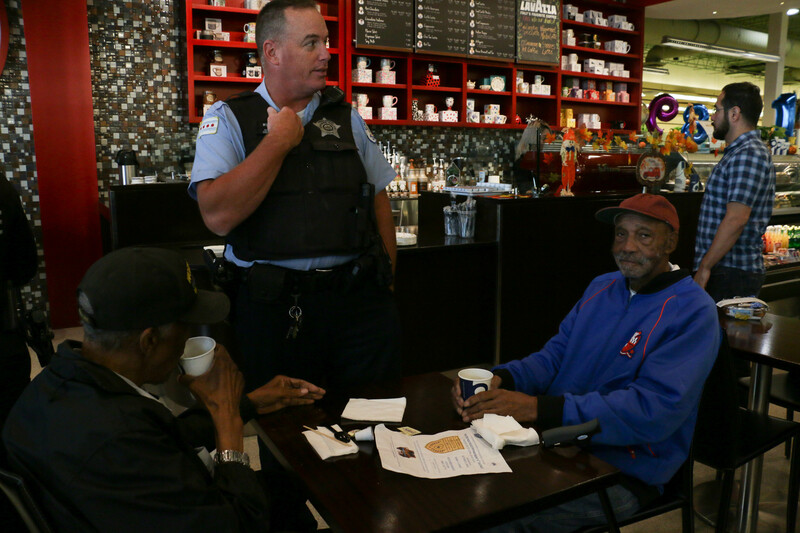 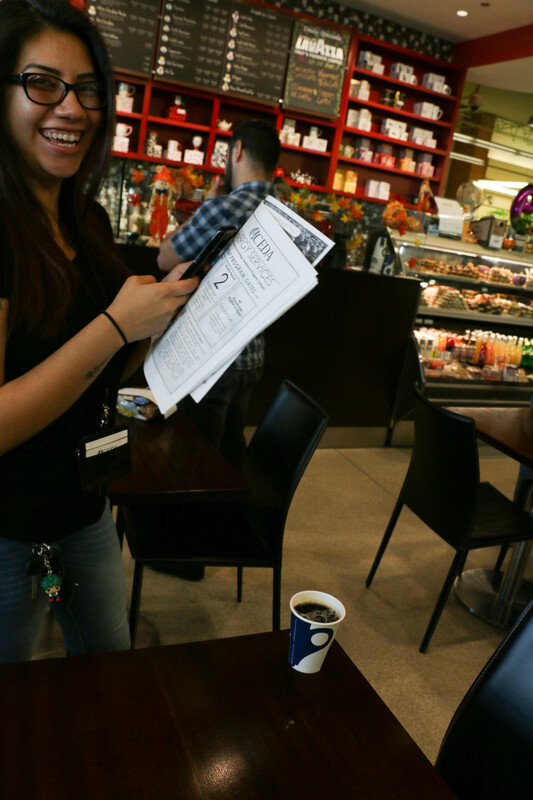 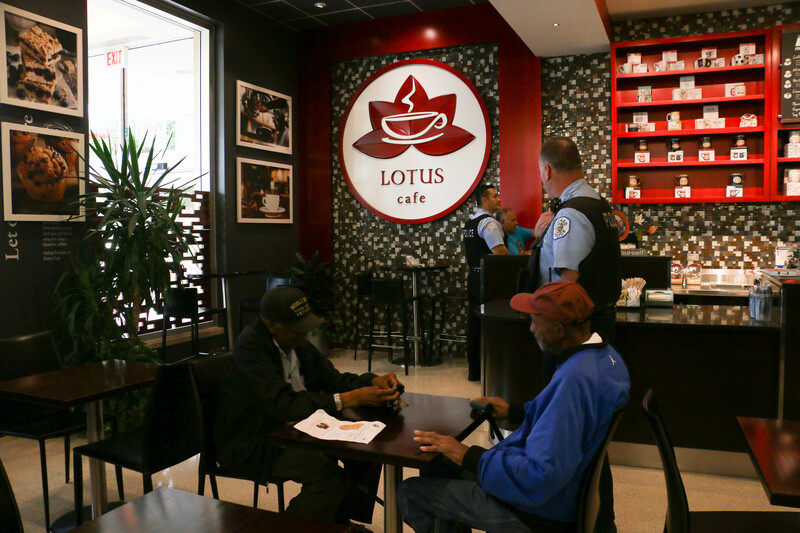 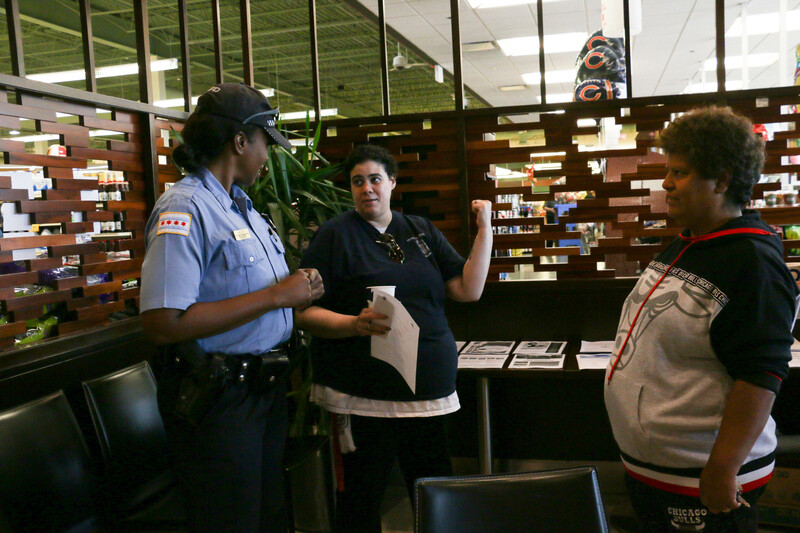 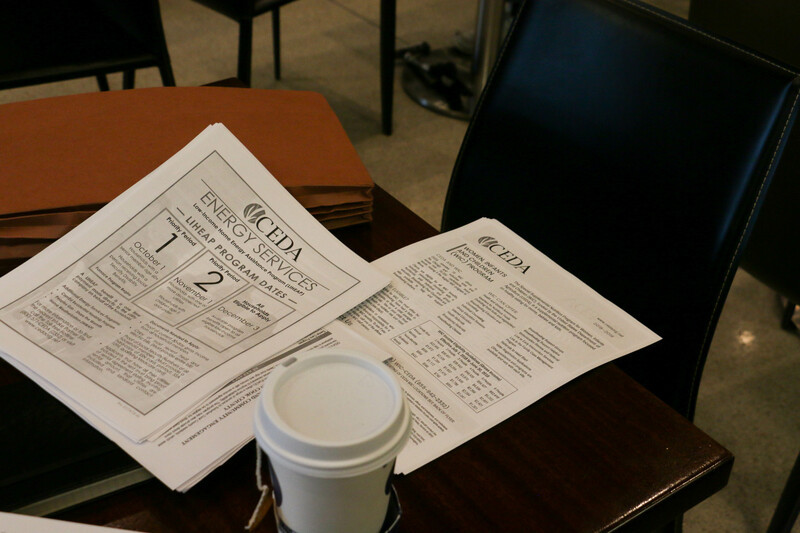 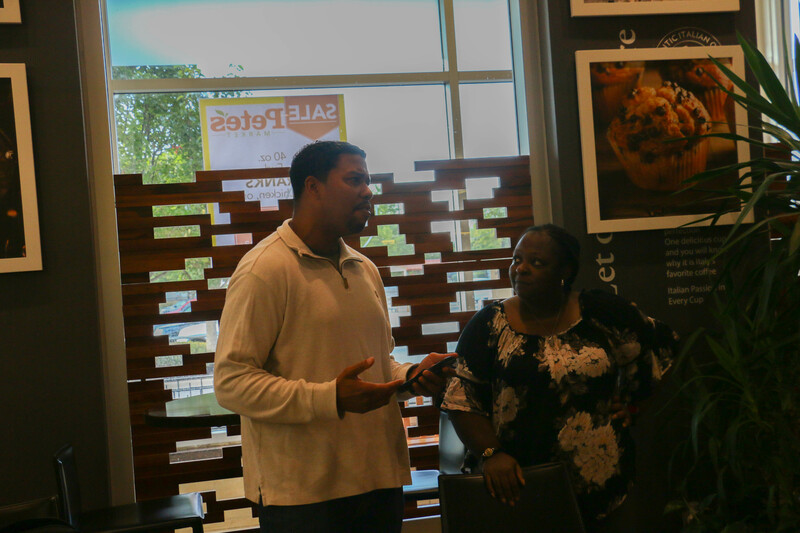 Home » Community Event News & Photo Album » National Coffee with a COP Day with 4th District at Pete’s Fresh Market Lotus Cafe. 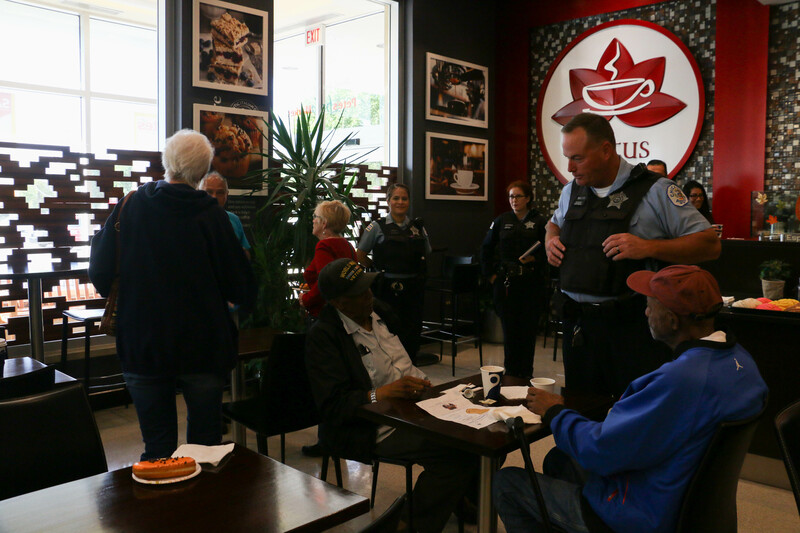 National Coffee with a COP Day with 4th District at Pete’s Fresh Market Lotus Cafe. 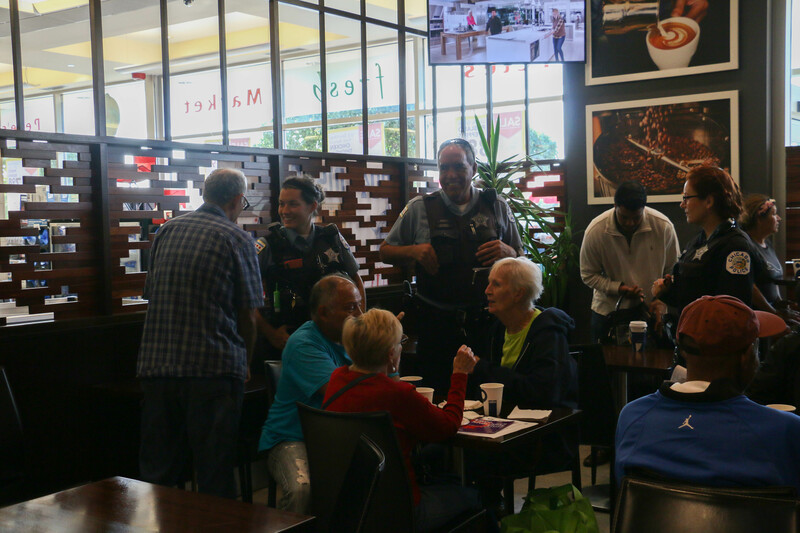 Mission: the Chicago Police Department has been committed to implementing a comprehensive community policing strategy – CAPS – that is designed to make residents an active partner in preventing and reducing crime in all of Chicago’s neighborhoods. 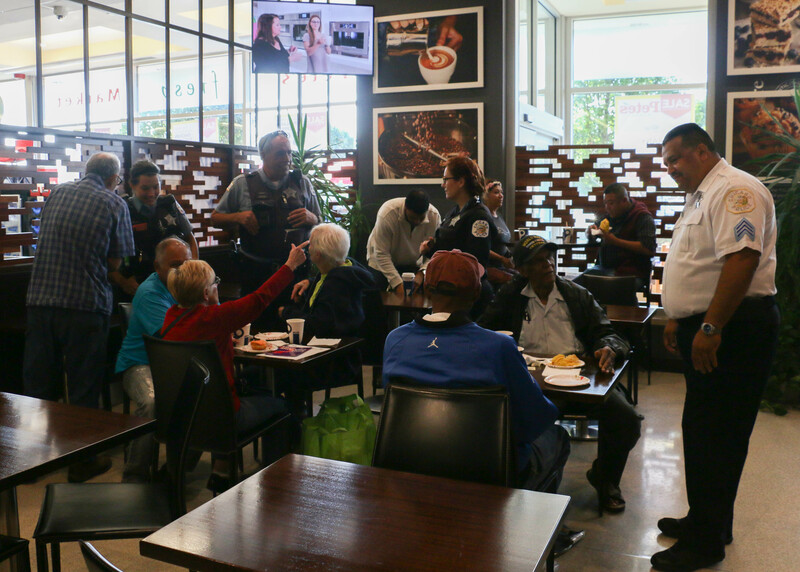 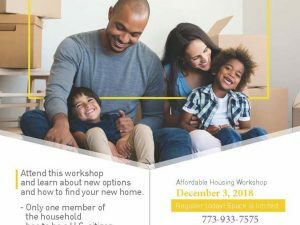 That strategy recognizes that police, residents and other neighborhood stakeholders, and other City agencies have to work together to address all the conditions that can lead to crime. 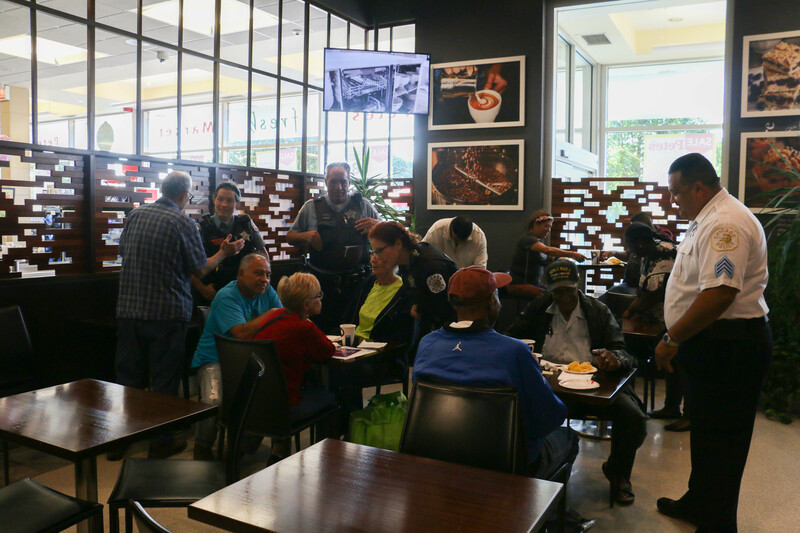 No one stands alone; each of us has a role to play in improving the quality of life in our communities. 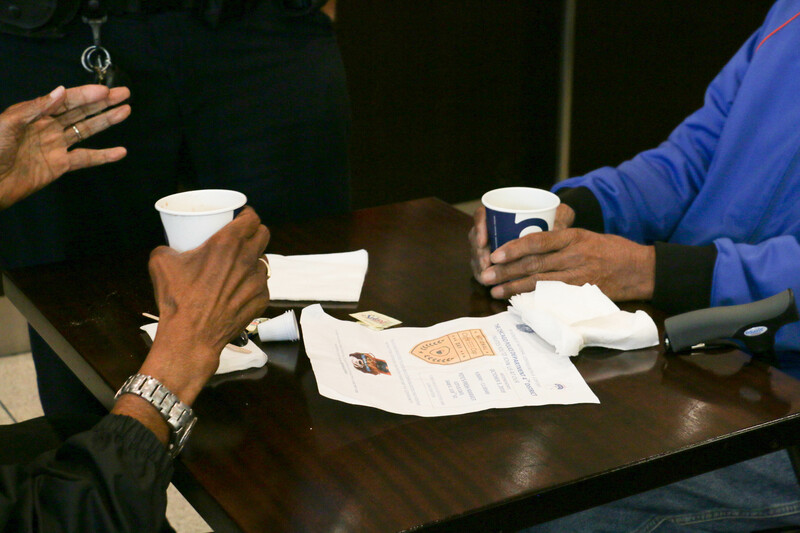 South Shore Chambers 20th Anniversary Reception Wednesday, Oct 24th.